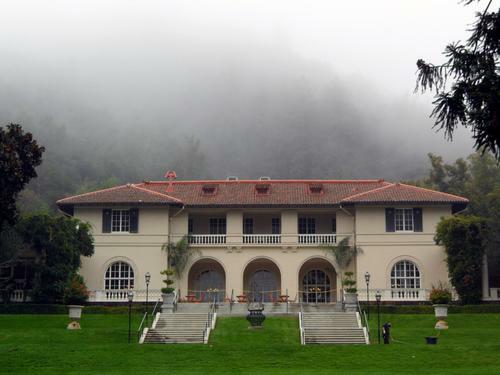 Montalvo Arts Center | News | Become a Centennial Tour Guide at Montalvo! Become a Centennial Tour Guide at Montalvo! 2012 is Montalvo's Centennial year, and with more history activities than ever, we are looking for enthusiastic volunteer Docents to join our knowledgeable team! Learn about Montalvo's history, our founder, Senator James D. Phelan, local Saratoga history, the buildings and grounds, and much more - and pass your knowledge on to visitors! How do you become a Docent? Just take the Docent training course! Led by staff, volunteers, and significant guest speakers, the Docent training includes seven weeks of meetings, plus a practical evaluation demonstrating sufficient knowledge and skill as a tour leader. Additional training is required for those volunteers new to Montalvo and those interested in performing arts assignments. A love of local history and the contemporary arts is a must! Ability to speak to groups of various ages. Bilingual volunteers are encouraged to join us! The 2012 Docent Training runs from January 21-March 3, with 1-2 meetings per week. If you are interested, please contact volunteer@montalvoarts.org or call 408-961-5828 to receive a full schedule and additional information. NOTE: All classes are required to receive your tour guide certification. A nominal fee will be charged for the book "Legacy of a Native Son" and other program education materials ($30 payable at first meeting).